On November 24th, 2016 Berlin Global had the pleasure to meet and interview Mrs. Tereza de Arruda, a contemporary Brazilian Curator involved in divers projects in Berlin and around the world. The interview allowed us to gain an in-depth understanding of the cultural relations between Germany and the major South American countries. Mrs. de Arruda shared her vision of cultural diplomacy with us. The interview began with an overview of Tereza de Arruda’s beginnings and how her studies in Germany shaped her future career. Proactive Brazilian Curator, born in São Paulo, Tereza has been living in Germany since 1989, when she began studying Art History in Berlin. On November 9th, 1989, she witnessed one of the most important geopolitical events of the late 20th century; the fall of the Berlin Wall, which paved the way towards the end of the international system. This event re-launched the European integration project, influencing both the cultural and economic situation of the time, and adding significant interest to Tereza’s studies. “South American culture reflects the European and that of several other countries as the entire world is deeply connected”, said Tereza, while speaking about promoting South American culture worldwide. Mrs. de Arruda explained how South American art can engage with many different cultures, such as the European, the Asian and the Arabic. This is mainly due to the historical colonization of the Americas. “To become an internationally recognised curator, you must research extensively and explore as much as you can”, speaking about the challenges a curator must face throughout her career. Tereza discussed her past experiences in China, in Cuba and in Brazil, also mentioning one of her last exhibitions on Indian art. The exhibition, based in Brazil, attracted over one million visitors just in 2012, becoming a major success. “Sometimes you meet an artist and you immediately fall in love”, Tereza affirmed, while telling us more about her position. Mrs. de Arruda also decided to share one of her recent experiences, involving Frank-Walter Steinmeier. German Minister of Foreign Affairs. 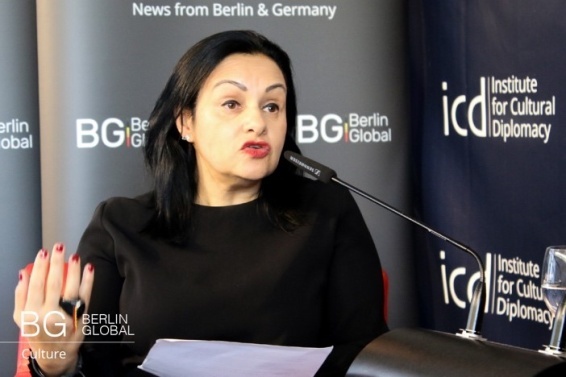 Before his visit to Cuba, the Minister invited Tereza to discuss the possible approaches to develop the relations between Germany and the South American country. Mrs. de Arruda then highlighted the need to increase the number of the so-called exchange exhibitions in both countries. Her suggestion proved extremely valuable and led to the organization of an outstanding exhibition at the Kunsthalle Rostock, where the work of sixty Cuban artists was displayed. “Art is the key to establish an intercultural dialogue between countries with different backgrounds”. 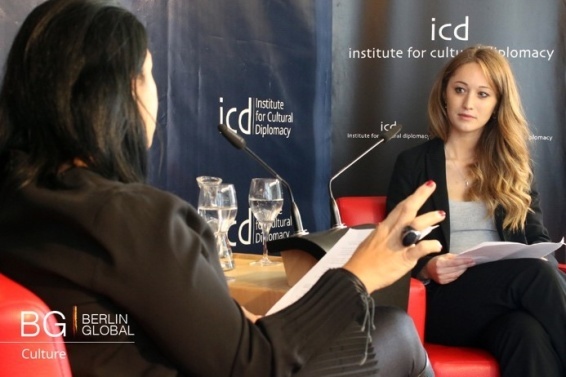 Tereza shared her view of Cultural Diplomacy and explained how a curator can produce an intercultural exchange. “It is essential to understand not only the cultures that are in front of us but also those which are around us. Cultural Diplomacy proves fundamental to develop our society and everybody should have access to it. Mrs. de Arruda strongly believes that Cultural Diplomacy represent the key to understanding and that its importance is significantly growing, also adding that Cultural Diplomacy should always be present in our daily life.